This class is now at capacity. Thank you for your interest! Learn a love song with your special person in four fun weekly classes starting February 13th – just in time for Valentine’s Day! We’ll even provide the guitars! Taught in a welcoming, no-pressure way by ACG’s super patient Arnold Yzaguirre (website), the two of you will learn some guitar basics together, and come away with at least one song to share for ever and ever. No experience is necessary, since this is a beginning class, but if you have a little … we’ll make the most of it! Space is limited. Register below today! This 4-week class meets from 6:30-7:30p.m. 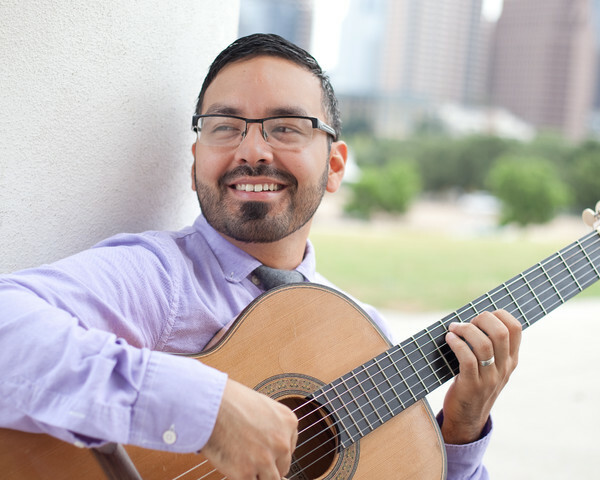 on Wednesday nights, February 13th through March 6th, 2019 at Austin Classical Guitar (5900 Balcones Dr., Ste 240, Austin 78731). Class costs $120 per couple. Just bring yourself and your special person! We’ll be lending out the guitars and footstools, but if you already have a classical guitar, and don’t need to borrow one, please let us know by emailing Karen at Karen@AustinClassicalGuitar.org.